The Matobo Hills, Zimbabwe’s ancient landscape full of mystery and fascination & is Zimbabwe’s largest World Heritage Site, in excess of 3,000 km2 and is the country’s only UNESCO Cultural Landscape Site. 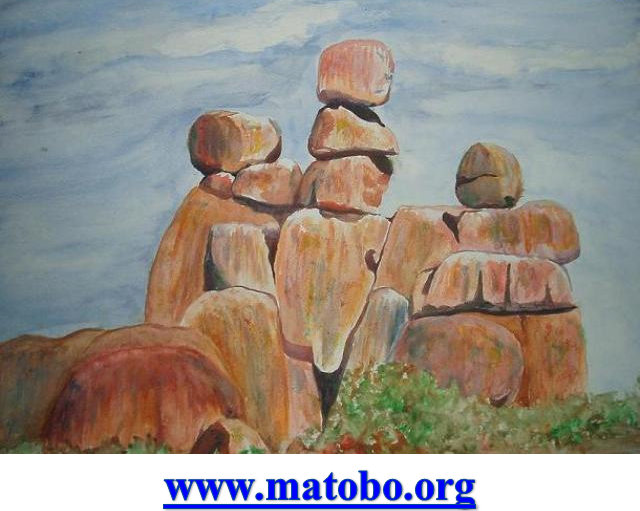 The Matobo Hills is over 3 billion years old, and has hosted mankind for the past 400,000 years. Within the historic area is found the greatest concentration of rock art to be found anywhere in the world – and this will feature in the Ironwill event. The hills have been a retreat not just for the bushman, but for various Bantu tribes, culminating in the 1896 Uprising. The hills are a burial ground of Kings and heroes, and a tapestry of forts and battlefields, though which we will pass. The Hills also posses the greatest variety of tree species south of the Zambezi, a diffusion of plant species, and a rich legacy of rare and unique plants. It also plays home to the greatest variety of birds of prey in the globe, the largest population of black eagle and the longest running bird study anywhere in the world. It is reputed to have the biggest leopard population to be found anywhere, and contains the largest rhino population in the country. The largest black mambas are also found here – but we’ll do our best to avoid those! And of course at the bottom of the food chain is a huge population of dassie (rock hyrax) that sustains so much of the predator pyramid. The Rhodes Matopos National Park, or Matobo National Park, is one of the oldest in the country, with its origins in the will of CJ Rhodes who left his Matopos estate to the benefit of the people of Bulawayo. Today we will take up that legacy and use the hills for five days of hard recreational activity as we cycle, hike and swim in this special place.